As a cost-conscious homeowner, you don’t want to spend more than necessary to keep your Bellaire, Texas, home warm and cozy throughout the winter. With a smart thermostat, you can easily keep your costs down and still maximize comfort. Find out how a smart thermostat will be the solution to energy saving and your comfort needs this winter. One of the most important features of a smart thermostat is also one of the simplest. These devices allow you to program a heating schedule so that your HVAC system only warms your home when you’re around to benefit. If your family typically spends most of the day at work or school and then sleeps for around eight hours every night, there’s no reason to run your heating system at optimum temperatures during those down times. Set your thermostat 10 degrees cooler when you’re asleep or away and you can save up to 10 percent on your heating bill. Whether you got stuck at work, forgot about the kids’ after-school game, or didn’t adjust your thermostat before leaving for an impromptu weekend getaway, you can still control your thermostat. You can manage your heating costs even if you’re not home to adjust the thermostat. That’s because smart thermostats like the Infinity Remote Access Touch Control allow you to log in from virtually anywhere. Use your smartphone or laptop to access the thermostat from work, the ball field, or the airport and adjust as necessary. If you’re serious about saving money, you want more data and less guesswork. Models like the Côr WiFi Thermostat offer comprehensive energy reports that tell you exactly how you’re using energy. 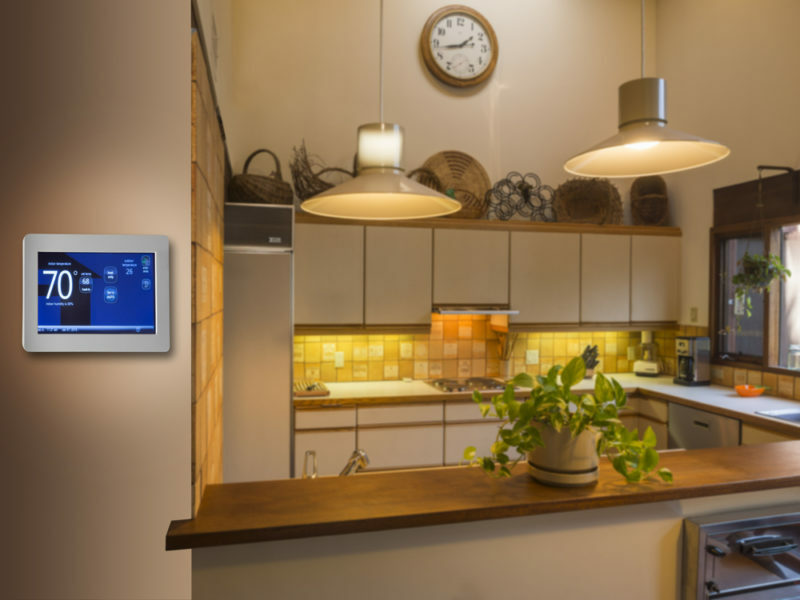 These smart thermostats live up to their name by offering tips to help you save energy and lower your heating bill all season long. Ready to take your home’s heating system to the next level? Call the Conditioned Air team today at 281-201-0356 to learn more about our programmable and smart thermostats.